How to Build a Solid Author Platform? Use WordPress! n today’s publishing market, it’s not enough for authors to simply write great stories and novels. Writers must also promote and market their work. 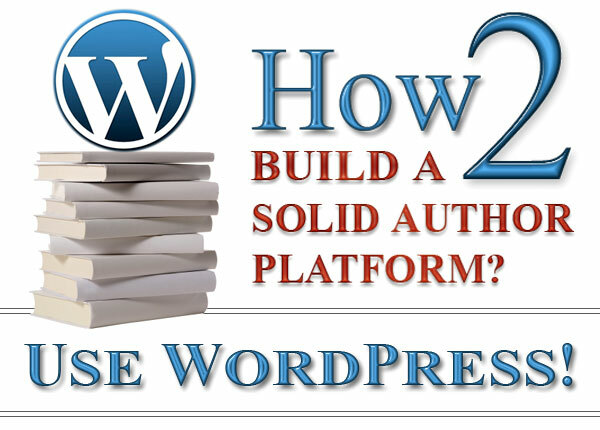 WordPress provides simple solutions for creating an author platform and makes managing ongoing content easier by putting the control in the author’s hands. Having an author platform is a critical marketing component for all authors, whether traditional or self-published. WordPress is a web-based publishing platform and includes many powerful tools, such as an easy-to-use dashboard for updating and managing content; Search Engine Optimization (SEO) tools to reach new readers and increase website traffic easily; seamless social media integration; and a variety of pre-made templates, widgets, and plugins, all of which can be customized to suit almost any need. For authors, WordPress is without a doubt the best tool for building and maintaining an author platform inexpensively, effectively, and efficiently. Control – Janet Jackson had it right when she sang about the virtues of control. With WordPress, you have control over the look, the content, and the layout. This allows you to make instant changes, add updated content, and even refresh the website look with a new template without losing existing content. WordPress offers many free and fee-based theme choices, which provide endless options for creating a unique website look. User-friendly Content Management - The WordPress dashboard provides easy, intuitive access to all the tools you need to manage a website. No need to know HTML (a little doesn’t hurt though), there’s a visual editor (also known as WYSIWYG, which stands for What You See Is What You Get) to help make customization easier. Scalable & Cost Effective – WordPress offers a variety of solutions for any budget and technology level. Whether you choose a free template with hosting through Wordpress.com or provide your own hosting to use Wordpress.org’s premium templates, plugins and more, WordPress offers solutions to scale with your site as your needs change. Powerful Tools – The plugins developed for WordPress.org are nothing short of amazing. Whether you need site stats, SEO, social media, e-commerce, newsletters, and auto responders, WordPress.org’s almost 20,000 plugins provide solutions for almost any website need. While Wordpress.com doesn’t offer quite as many plugins, there are a number of fee-based services such as video, ad-free, and additional storage to name a few. In addition, both versions of WordPress automatically provide a mobile-device optimized site without any effort on your part. WordPress offers free mobile apps for maintaining your site on-the-go for many popular mobile devices, including Apple, Android, Windows, and Blackberry. Free Exposure - Last but not least, when you use WordPress.com’s tagging system for your posts and pages, your site is automatically added to the global tag system of WordPress, driving new readers to your content. You could even be highlighted on the coveted “Freshly Pressed” page, giving your content exposure to millions of bloggers and visitors. With WordPress, a site can be created for free in as little as a few hours and expand over time, depending on the site owner’s needs. There are plenty of talented WordPress developers available to help troubleshoot issues with you for a low cost. Widgets – A widget is a tool created to be an easy way to customize the content and layout of a WordPress theme using drag-and-drop. Widgets are available on both Wordpress.com and Wordpress.org. Many themes come with pre-made commonly used widgets, such as recent posts, archives, blog rolls, and custom menus. This makes customizing your site content easier and eliminates the need for extensive HTML or PHP knowledge. Plugins – These are small programs created by WordPress.org developers using PHP, a method of communicating with a server, to add additional functions to your site and are only available if you’re providing your own hosting. These can be either visible on your site or add functionality to the content management dashboard. Some excellent plugins include WordPress SEO by Yoast, Google Analytics for website traffic monitoring, WP e-Commerce for shopping carts, and JetPack for social media. WordPress solves these issues by keeping the blog and the website together in one interface. This gives authors an opportunity to consistently add relevant, new content easily and control all branding elements in one location. It also helps improve SEO results from the search engines due to regular fresh content. Additional pages or posts with appropriate keyword-related content help increase your keyword relevance over time, direct search engines to your site, and increase your domain authority, something Google favors. Another advantage to WordPress is blogging about topics relevant to your audience, which helps to build readership and establishes you, the author, as an industry leader in conjunction with your products and services. Using a subscribe plugin helps you to maintain your audience and brings relevant content to their inbox easily. The biggest key for a successful WordPress blog is consistency. Many experts suggest a certain number of posts per week or month. The most important thing to realize is the quantity is less important than the quality. If you can produce content that is relevant and fresh to your audience three times a week, go for it. If you can only blog once a week, that’s fine, too. But remember to be consistent with the content you’re providing and make sure it’s quality, relevant information. Search Engine Optimization (SEO) is a method of communicating with search engines about your website’s content and relevance. Few website owners recognize that search engines are run by sophisticated algorithms and programs to rank content. With over a trillion unique web links reported by Google as of 2008 and growing daily, search engines have a lot of content to try and organize. Keywords and SEO help search engines to know how to organize this content and determine how relevant it is to a keyword search term. Some areas search engines look for are multimedia elements on a website such as video and pictures, keyword combinations in conjunction with relevant location, site structure and navigation, accessibility, readability, and user engagement. Many times website owners make the mistake of writing primarily for search engines or only writing for readers; when in fact, a website should be developed for both. Website content should be written for the audience you’re trying to reach first, and then the search engine, using optimization tools. Content is always king online, and your visitors will show you whether your content is effective by their actions on your website. Comments, backlinks, visitor time, and page visits all combine to create a picture for the search engine as to how relevant your site’s content is and how engaged your audience is with your site. WordPress has a variety of solutions for website owners to help solve the SEO confusion. One of the most powerful is WordPress SEO by Yoast, an all-in-one plugin that provides guidance on the best methods for optimizing your site. While it might require a little research for relevant keywords, this plugin makes SEO easier than any other plugin available currently. It provides step-by-step instructions regarding what fields are needed and how best to meet the criteria search engines are looking for. Through Yoast’s collaboration with Google, you can be sure you’re following the best standards of practice for SEO with this powerful plugin. Social media and WordPress fit like a hand in a glove. They are useful apart, but are the most effective when used together. Incorporating social media into a WordPress site is easily accomplished through the use of widgets and plugins. The combination of plugins and widgets with social media works to integrate them together, making both more effective than they could ever be independently. Some plugins will automatically send a tweet or Facebook status update anytime you post a new blog post or page. Other plugins will automatically e-mail a new blog post to your subscribers. You can add social media share buttons to all of your pages, give readers a subscribe option, and more. With so many choices available for developing a website as part of your author platform, it’s critical to choose a system capable of growing with your promotion needs. In online marketing, you can expect change to be an ongoing factor as new technology is developed and communications evolve. As a result, WordPress is a critical part of any author’s platform because a group of dedicated volunteers work daily to bring about better website solutions for users. Most importantly, there are few resources out there for authors to develop a platform that seamlessly integrates all the elements of promotion, social media and engagement, analysis of audience, feedback, and ease of development as WordPress does. Charity Kountz is a marketing mastermind with a boutique marketing firm in Dallas, Texas. During the day, she develops online marketing strategies for businesses and entrepreneurs, including WordPress sites, social media, and promotion campaigns. 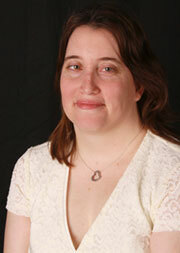 Charity is also a successfully published author of fiction, nonfiction, and poetry. Recent publications include “Seeking Redemption” (2010) in the Drastic Measures Anthology and the short story, “Alone,” in Duck Soup Magazine (2011). Her self-published middle-grade children’s novel, Jason, Lizzy, and the Snowmen Village, is expected to release in fall 2012. You can learn more at http://www.charitykountz.com.